Jack Bauer finally runs out of time! If you’re a “24″ Fan, looks like you’re out of luck…but you knew that anyway. The Series Finale is a 2-hour special coming may 24 (appropriate). I’m not really into 24, I’ve watched maybe half an episode. I hear Keifer Sutherland is awesome in it though. 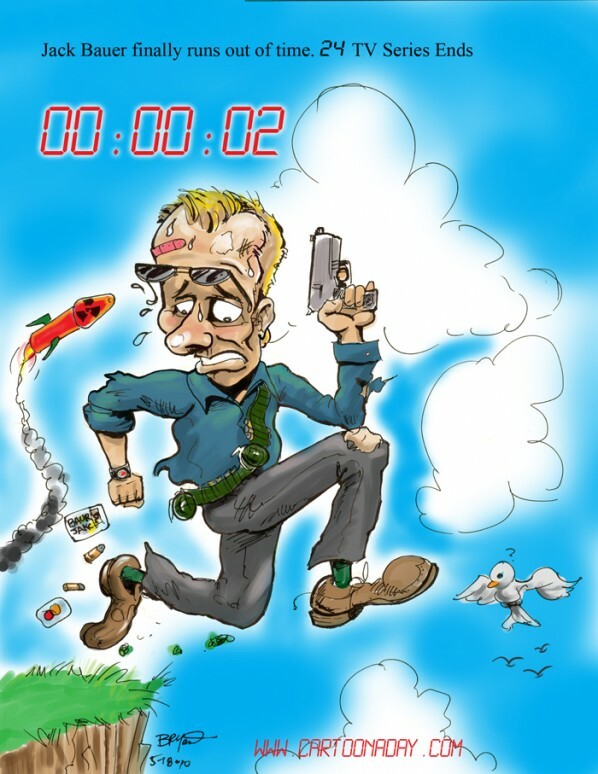 Cartoon of jack Bauer, TV personality played by actor Keifer Sutherland, running away from a rocket. A countdown displays 2 seconds remaining.